Unless you are new to the DFW area or the United States you are sure to remember "Icemageddon 2013" last winter. It was pretty bad a nightmare!! Amazon and other businesses couldn't get their packages shipped on time and the semi-trucks couldn't get into the cities to deliver there supplies to stores. Well, guess what?! They are predicting that this winter is going to be WORSE! "The National Weather Service models are predicting a 99% chance that this coming winter will start sooner and be harsher than any we have seen, possibly in this century. Weather science experts are saying the amount of snow we can expect could be many times what we normally get, in most areas. The northeast and midwest states will probably be hardest hit, but the expected harsh winter weather could affect the entire continental United States." If you know of a local farm you can buy eggs from them and keep them unwashed and they will stay shelf stable for most of the winter. When you can afford it, take advantage of bulk buying or buying extra of your favorite items to add to a food storage so you can have the supplies you need if you are unable to get to outside food sources (which by that time they won't have anything available anyways). We also recommend buying a solar oven. We like the SUN OVENs the best! We will be doing orders next month for freeze dried food in mylar bags which taste great and are a great addition to your food storage. Also stock up on water and fuel! This type of severe weather goes far beyond mere inconvenience, it is life threatening. A greater amount of snow than normal could shut down major cities and cause lengthy power outages. The combination of no heat and probable food shortages is a recipe for disaster. The time to prepare for this is now, as the weather could turn as soon as the beginning of October. What should you do? 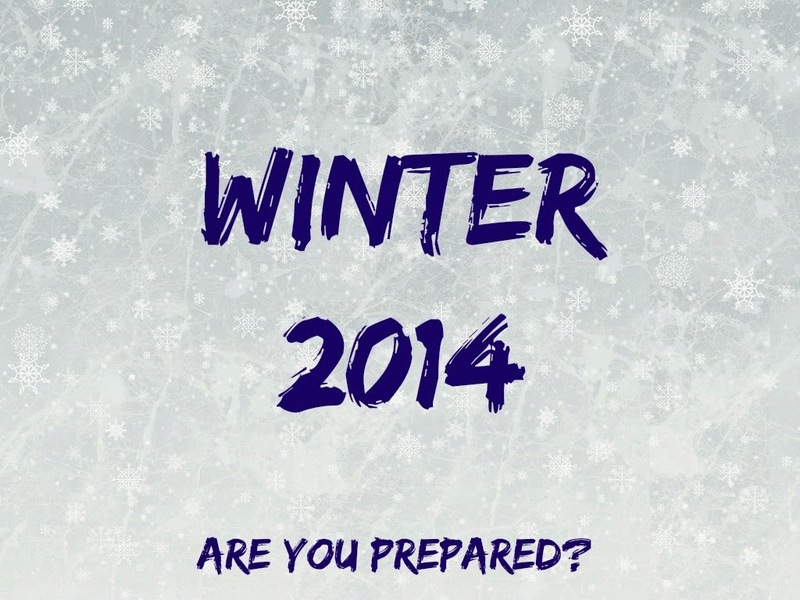 How can you protect your family from the hazards that this winter will present? Prepare for it now! Better you should start stocking up for the upcoming emergency now than try to run out and buy what you need when the snow is knee deep and everyone else is also trying to do the same thing. Prices will be inflated, shelves may be empty, people could panic and you could be hurt or worse if you are caught out in those conditions. What should you start stocking up on? Some of these things I am sure you probably know, but others you may not think of. Start with the basics. Heat – if you lose power and your heat does not work without it, the first thing you will need is an alternative source of heat. Mr Heater portable propane powered heater was my choice. Whichever heater you decide on, make sure that it is approved for indoor use, and even then you may want to slightly crack a window. Make sure to buy a lot of propane tanks, so you do not run out. Never NEVER use outdoor BBQ grills, kerosene heaters, or any other type of heater that is for outdoor use only. You can be overcome by fumes from them. Heavy Clothing – the best would be snowsuits such as what you wear for skiing or winter hiking, but you can also use thermal underwear, wool socks and insulated boots and parka. Don’t forget the hat and gloves. You may also want to invest in some hand warmers. Food – when a food shortage hits, and it will when the delivery trucks cannot get to the stores, the first thing to go is the staples. Milk, bread, eggs and such will be gone almost immediately. To avoid this situation, buy good quality powdered milk (Country Cream is what we love) and store it in a cool dry place. Kept moisture free, powdered milk stays good for 2 to 10 years, so don’t be afraid to buy a lot. Loaves of bread should also be on your list. Bread can be frozen with no major damage to it, and if you lose power, you can always keep it outside where it will stay frozen. Eggs can also be frozen, not in their shell, but first crack and beat them and then pour them into ice cube trays. When they are frozen, pop them out and put them in freezer bags. Can goods, pasta, rice, beans are all things that you can stock up on that will last a long time. How much food to store will be determined by how many people in your household. Don’t forget to also buy the means to cook your food. A small propane stove is best, but you can use an outdoor grill if you want to cook outside, but beware, the smell of cooking food may bring unwanted guests for dinner! It may seem a bit overwhelming, but the better you prepare, the safer and happier you will feel. But remember, it is much better not to tell anyone about the preparations you have made for the coming winter, or you may find desperate people showing up on your doorstep when their food runs out and their houses have no heat. Foodie Friday: So why Country Cream Milk?